Rooted in Faith. 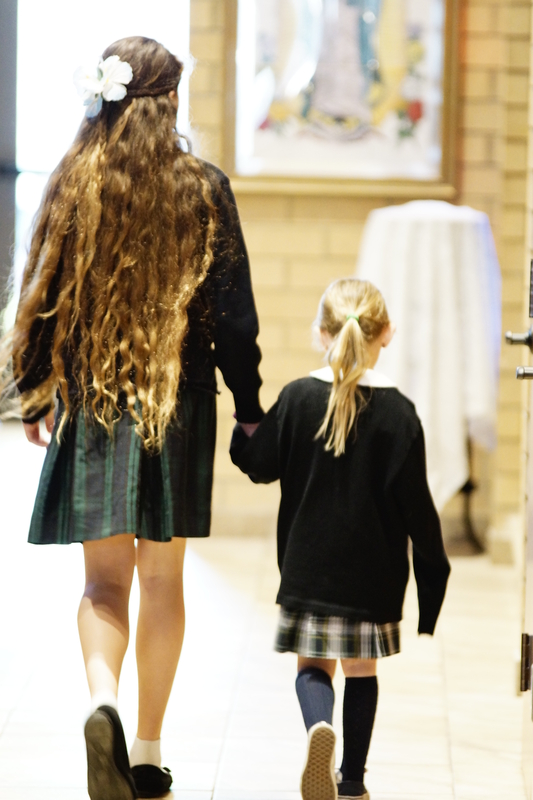 We provide a nurturing education rooted in the Catholic faith. We emphasize the development of strong spiritual values with a focus on social justice, service, and ethical personal behavior. ABVM students strive to be responsible citizens who are Christ-like in their service to others. Excellence in Education. We provide a stimulating and robust education, inspiring our students to work hard and believe in their own unlimited learning and achievement possibilities. We target reflective, agile thinking that promotes creativity, learning strategies, problem solving, and complex thinking in all areas. Students learn to distinguish the value of published information – online and in print. They are taught to formulate questions about the world and address problems that have real life connections and relevance. Our students are continually placed in top high-schools of their choice. Quality Teachers. Our principal, teachers and staff seize opportunities to improve educational experiences. We are committed to continual training and growth. We work collectively to provide resources to advance student success. All of our classroom teachers are credentialed with over 80% holding advanced masters degrees. 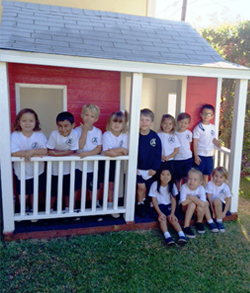 Transitional Kindergarten (TK) class, is an exciting new “bridge” between pre-school and kindergarten. Designed to address BOTH developmental and academic growth, students are well prepared to transfer seamlessly into kindergarten. Students must be 4 years old by September 1. Spanish instruction begins in Transitional kindergarten and extends through 8th grade. TK – 2nd grade has a conversation/physical activity focus. Grades 4 -8 add more formal instruction in grammar, writing, conversational practice. Algebra is taught two years prior to high school. The majority of our students qualify for advanced course work upon entering high school. Early Literacy Instructional Strategies and materials allow us to personalize instruction for part of each day by providing small group instruction that allows students to work at a guided pace that best advances their individual reading level. Our early literacy focus is a key initiative that distinguishes Assumption from other schools. Next Generation Technology is offered at all grade levels. Equipped with Viewsonic Interactive Boards in all classrooms, updated computer lab and mobile IPads for daily classroom integration students use both Apple and PC platforms. Sixth through eighth grade students have their own personal IPads. Stellar After School Programs. Our students have captured many volleyball, basketball, football, golf, and track and field. We also provide various classes during our after school program. These change on a quarterly basis so call for more information on what is offered! Accredited by WASC (Western Association of Schools & Colleges) and WCEA (Western Catholic Education Association) fosters excellence in education by encouraging school improvement and recognizing schools that meet their level of quality. Our accreditation was given the full 6 year term before renewal is required in 2024.